Of the events our realistic dinosaur performers end up traveling to, most are corporate events with a Jurassic Park or Jurassic World theme. From Los Angeles to New York City, we have been able to participate in some pretty awesome prehistoric parties! 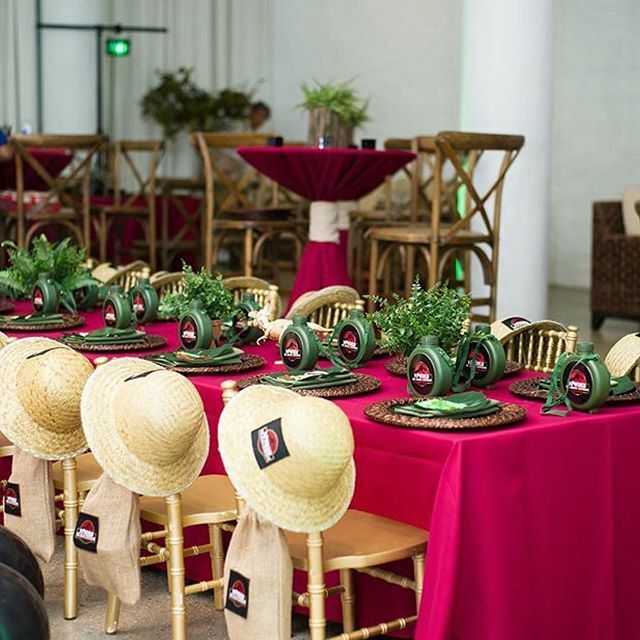 We thought we would share some photos and ideas from events across the country as inspiration for corporate event planners looking to create an awesome Jurassic Park theme corporate event. 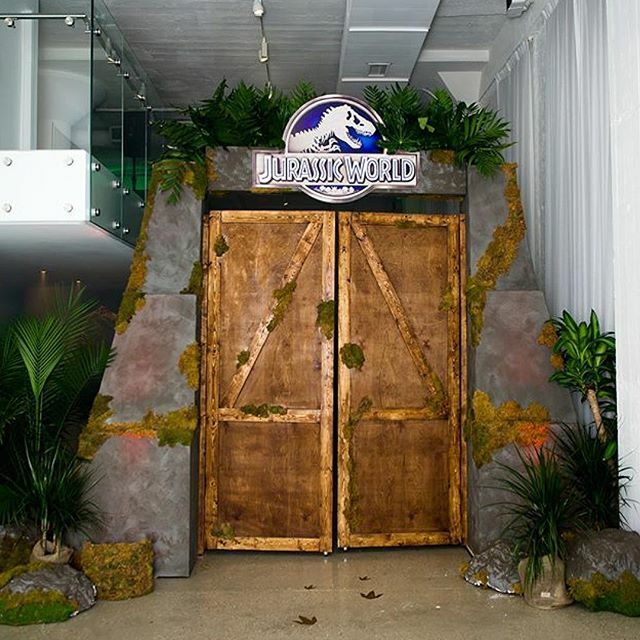 First off, what would a Jurassic Park Party be without Jurassic Park gates! These gates we entered through in Scottsdale, Arizona were pretty amazing. Some corporate event planners have even chosen to provide a jungle background in order to allow guests to get the best Jurassic Park style photo opp possible! Check out this jungle background from one of our more recent Jurassic Park events in Los Angeles. If you're thinking about going with a Jurassic Park theme, do it! They're always a blast and, with the right props and decorations, really send you back a few million years. Feel free to reach out to us via the "Get a Quote" page with any questions; we're happy to tell you more about the Jurassic Park corporate events we've seen in the past. Newer PostHire a Realistic Dinosaur Performer in Oregon and Washington. Older PostNew Bumblebee Transformer Performer in the U.S.